The Full Stack Saint Paul Steering Committee is comprised of 31 experts from the technology, innovation, economic development, real estate, and workforce development sectors. 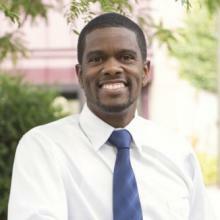 Melvin Carter is a fourth-generation Saint Paul resident, Saint Paul Public School graduate, former Saint Paul City councilmember, father, and Saint Paul’s current mayor. Melvin holds a bachelor’s degree in business administration from Florida A&M University and a master's degree in public policy from the Humphrey School of Public Affairs at the University of Minnesota. He has a passion for civic engagement and enfranchising and uplifting Saint Paul residents, especially those in the most need. Born and raised in Saint Paul, Chris Tolbert attended Saint Paul Public Schools and graduated from Central High School. Chris graduated from St. John’s University, then went on to earn a law degree from Hamline University School of Law. He currently works as a Hennepin County attorney. He was elected to represent Saint Paul's Third Ward on the City Council in November 2011, and was sworn in on January 4, 2012. He was reelected to a second term in November 2015. Jonathan Anderstrom started Creed Interactive in 2007. Creed’s core competencies are in design and user experience, digital strategy, responsive website development, integration for multi-site environments and advanced CMS platforms, CRMs, and web applications and integrations. 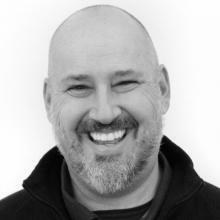 He stresses an all-in commitment to interpret and extend Creed’s clients' brands and technology platforms online. Since earning his bachelor’s degree in creative writing in 1991, Don Ball has been dedicated to fostering creativity and clear communication. In 2013, he took a huge step forward in helping others realize their dreams by cofounding Jump! School and acting as an instructor there. Most recently, Don cofounded the coworking firm COCO, and is the chief social officer for Fueled Collective, helping entrepreneurs and small business owners succeed in their ventures. He now acts as CEO for the company. After spending 36 years with 3M, Norbert departed from his position as business director at the end of 2015 to found Growth Enterprises. 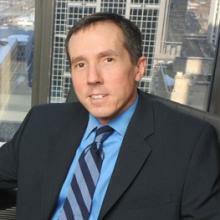 His firm focuses on four core private/public market practice areas: aerospace, defense, energy, and international trade. They specialize in market insights, growth strategies, and business model transformation, to name a few. Norbert earned his bachelor’s degree in organizational leadership from Quincy University. 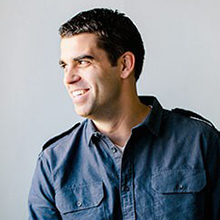 Ryan Broshar is the managing director at Techstars, running the Retail Accelerator in partnership with Target. 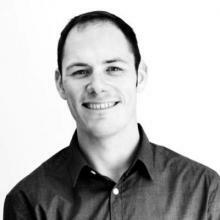 He is also the founder and managing director for Matchstick Ventures (formerly known as Confluence Capital). 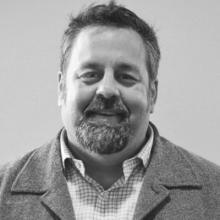 He is also co-founder of Beta.MN and Twin Cities Startup Week. Prior to Matchstick, Ryan founded University Guide, LLC – a university-based publication business that was eventually sold in 2008. A South Dakota native, Dakota Crow made his way across the country before ultimately returning to the Great Plains to study for his master's degree in business administration at Minnesota State University, Mankato, and then making the move to the Twin Cities. Dakota has founded several organizations throughout his career, Minnovation Collective being his most recent venture. 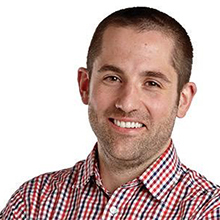 He works as the vice president of innovation design for U.S. Bank and serves as a steering committee member for Twin Cities Startup Week, as well as being a mentor for TechStars. Rassoul Dastmozd served many years as an instructor and administrator in Iowa and Washington state. Since 2011, he has led one of the most highly regarded community colleges – Saint Paul College. Under his leadership, he has guided the college to rank among the best community colleges in the nation. Rassoul has become an influential voice in Saint Paul’s business, nonprofit and public spheres, participating on several local boards and an informal economic development partners group that includes some of the city’s movers and shakers. 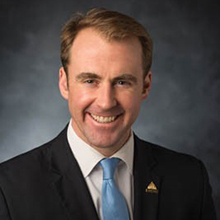 Peter Frosch became chief executive officer of GREATER MSP, the Minneapolis-St. Paul regional economic development partnership, in March 2019. As CEO, Frosch is responsible for leading the global strategy for economic development and job creation for the greater Minneapolis- St. Paul region, with 3.6 million residents and a Gross Metropolitan Product of more than $260 billion. 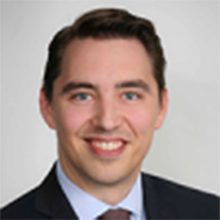 Prior to joining GREATER MSP in January 2013, Peter was the legislative director for Congresswoman Betty McCollum in Washington, D.C. Peter has also served as director of environmental policy at Environmental Initiative, a Minneapolis-based nonprofit. Peter earned a bachelor’s degree from Northwestern University and a master’s degree in international relations from Dublin City University in Ireland, where he studied as a George Mitchell Scholar. 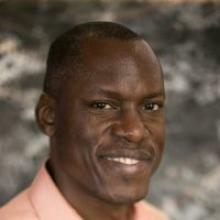 Ernest is an IP and business attorney representing innovation-driven startups and entrepreneurs. He works with early-stage clients to identify and protect patent, trademark and copyright assets and to launch, develop and finance high-growth enterprise. 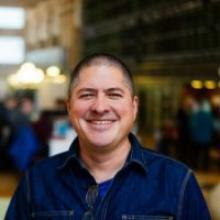 As co-founder and leader of MOJO Minnesota, Ernest advocates for the Minnesota startup and innovation community. MOJO, a cooperative of entrepreneurs, VCs, angel investors and startup advisors, launched in 2009 and has been working to make Minnesota a strong place to launch and fund new innovative enterprise. 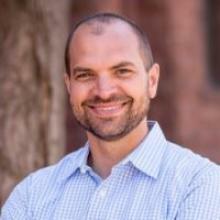 Ernest is also a co-founder and Advisory Board member of the Gopher Angels, Minnesota's largest angel investor group. He obtained a bachelor’s degree in political science from Boston College and his juris doctor from the University of Wisconsin Law School. Sharon Kennedy Vickers has a track record of success in managing complex IT modernization and system integration projects. Kennedy Vickers leads strategic initiatives including business process automation, ERP systems implementation, and infrastructure projects for high-end clients. 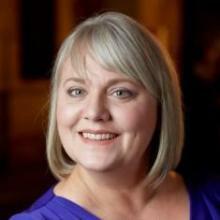 She is currently the chief information officer for the City of Saint Paul. Kennedy Vickers has sophisticated software development and engineering skills with genuine enthusiasm for resolving business challenges through technical innovation. She is a solutions driver, bridging the gap between business and technology, while envisioning the bigger picture. 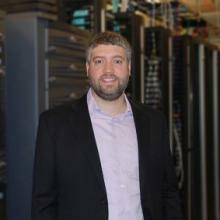 Brad earned his bachelor’s degree in electrical engineering from the University of Minnesota. He started his career with Michaud Cooley Erickson and Associates, then moved to Strategic Network Integration, Inc., to serve as its president before transitioning to HGA in 2015. 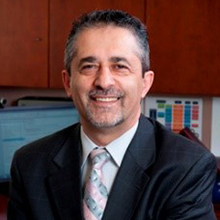 There, he is the director of technology services, where he leads technology engineering services for the firm's core market sectors serving health care, arts, higher education, and public and corporate clients nationally. 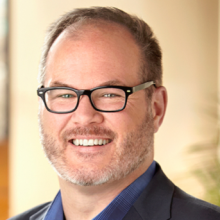 A longtime member of the team at Pearson VUE, Ron currently serves as its senior vice president and chief technology officer for products and services. In this role, he leverages his 20 years of technology experience to ensure the highest quality in Pearson VUE’s technology and business leadership, managing several software and product teams. Additionally, he volunteers as a mentor for Techstars and an advisor for Savitude while running his own information technology firm, Merrio. Ron earned his bachelor’s degree in business administration from Graceland University in Missouri and his master’s degree in software engineering from the University of Minnesota. Executive Director, Defense Alliance; Vice President, Logistic Specialties, Inc.
Chip Laingen is the Vice President, Midwest Region, Logistic Specialties, Inc. (LSI); and Executive Director of the Defense Alliance. Defense Alliance is the region’s defense industry network, with members in 34 states. The Alliance was presented the prestigious “Progress Minnesota” award in 2014, became one of the nation’s three Advanced Defense Technology Clusters in 2010 and won the Veterans Small Business Champion of the Year Award in 2007. His is on the Board of Directors for AirSpace Minnesota, the Advisory Committees for the Cyber Security Summit and Robotics Alley and the Advisory Board for the Midwest Cleantech Open. He was on the executive commission of the Minnesota Science & Technology Authority and was selected as an Executive Fellow for the University of Minnesota’s Center for Integrative Leadership in 2012. In 2011 he joined the graduate faculty at the University of Minnesota’s Technological Leadership Institute. 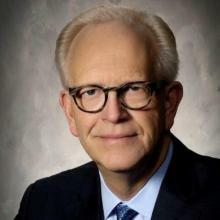 He is a past President of the Twin Cities Council of the Navy League and is the owner of Laingen Communications. 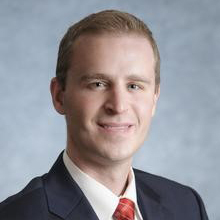 Dan Linstroth earned his bachelor’s degree in political science from Purdue University before making his way to the Twin Cities in 2007. Dan's most recent venture is Kindly Coffee, a coffee and event company he founded in 2013. Prior to that, he co-founded the marketing platform Heroic and acted as chief marketing officer from 2011 to 2013, and served as an advisory board member for Art Buddies from 2012 to 2016. A Minnesota native, Tony has spent most of his career providing leadership and innovation in information technology. After completing a bachelor’s degree in international studies and management at Hamline University, Tony worked as an editor for a year before returning to his studies and earning a master's degree in software systems from the University of St. Thomas. Tony worked for J&J Distributing for 16 years, first as a web designer and then as an informational technology engineer before transitioning into his long-held position as director of information technology, in which he directed the information and data integrity for the entire company. In early 2017 he accepted a position as the chief information officer for Upvant, where he works strategically with small and medium-sized business leaders to design an innovative technology blueprint that can support their business and enhance their customers’ experience. Jeremy Maniak joined Minnetronix in 2010, became chief operating officer in 2013, and assumed the role of president in April 2017. Besides his work at Minnetronix, Jeremy has served as vice president of research at Leptos Biomedical and worked as a principal engineer and senior manager for Boston Scientific. Jeremy received a bachelor's degree in electrical engineering and a master's degree in electrical engineering from Purdue University. He also earned his master's degree in business administration from the University of Minnesota. 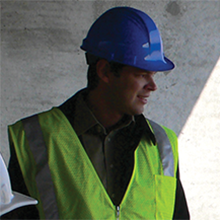 Gregg Mast has dedicated his career to clean energy in business. After spending several years in financial management, Gregg founded Earthtech Energy, an environmental consulting firm, in 2004 and has served as its president and CEO since. 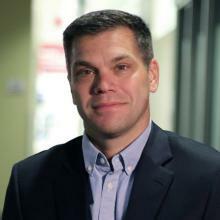 Additionally, he volunteered as the state director of Cleantech Open for a year before taking on a position as the executive director of Clean Energy Economy Minnesota, a firm dedicated to supporting clean energy by connecting businesses and stakeholders to collaborate in promotion of clean energy. After earning bachelor’s degrees in economics and American studies from Wesleyan University, Scott began his career as a corps member and then a regional director with Teach For America. He then took a position with the creative advertising agency Fallon and has stayed in the marketing world since. Scott spent more than a decade in various roles at Best Buy, and, in 2015, began his role as president of M32 Partners. In 2017, he was hired as chief operating officer for Augeo Marketing. He has an exceptional ability to synthesize quantitative and qualitative data into market-moving customer value proposition and is a results-driven, growth-oriented general manager and a leader who is successful in building businesses and brands. 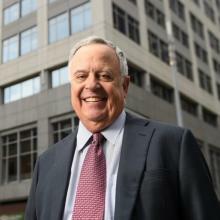 Prior to his retirement, Russ worked as the president and principal for his Minneapolis real estate and project management firm, NTH, for nearly 25 years. His company was one of the first in Minnesota to exclusively represent real estate users, and it has extensive experience in the Minneapolis/Saint Paul area, offering unmatched insight into existing properties and new investments. Russ earned his bachelor’s degree in history from the University of Wisconsin and a master’s degree in business administration from the Michael G. Foster School of Business University of Washington. Lynne serves as the executive director of University Enterprise Laboratories and CEO of MN Governmental Pursuits. The UEL mission is to support life science and complimentary-technology ventures, and Lynne coordinates programs for UEL clients and facilitates connectivity within UEL as well as across the greater life science ecosystem. Under Lynne’s guidance, MN Governmental Pursuits develops tailored plans for clients to effectively engage with key decision makers and impact legislative outcomes. A St. Cloud native, Lynne received a bachelor’s degree in public relations from St. Cloud State University before making her way to the Twin Cities. Born and raised in Saint Paul’s Summit-University neighborhood, Chip Pearson currently serves as chairman of the board for the software company he founded, Jamf. Chip has watched with awe as parts of Saint Paul have developed into thriving commercial districts and, based on his own experience with Jamf, aims to help make the city an attractive hub for companies such as his own. With nearly 20 years of experience in leadership roles in Twin Cities media, Tamara Prato has proven her service to the local community. She has overseen dynamic revenue growth at Twin Cities Public Television, the Pioneer Press, and Tiger Oak Media, where she was responsible for over a dozen magazines, including Minnesota Business, St. Paul Magazine, and Minnesota Bride. 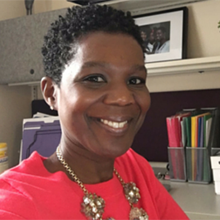 In April 2016 Tamara took the role of executive director at the James J. Hill Center, a private nonprofit business reference library. She looks forward to breathing new life into the mission of the center by “Connecting Business, Entrepreneurs and Community” through programming, networking, and business education. 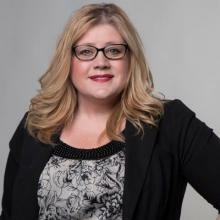 Tamara received her bachelor's degree in organizational communications and industrial psychology from the University of Wisconsin, Eau Claire and completed post-graduate work in nonprofit management at the University of St. Thomas. 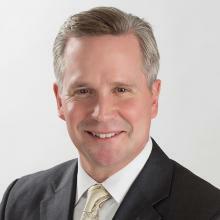 John holds a bachelor's degree in business from the Carlson School of the University of Minnesota and an master's degree in business administration from the Wharton School of the University of Pennsylvania. 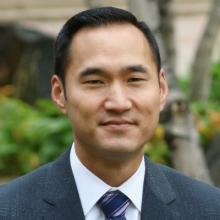 He has more than 15 years of experience in management consulting, private equity, and industry. John has served as the professional director of the Gary S. Holmes Center for Entrepreneurship at the Carlson School of Management since 2005, where he leads the development and delivery of experiential curriculum and programs. Most recently, he served as the CFO and board member for an early-stage communications firm acquired by Verizon. 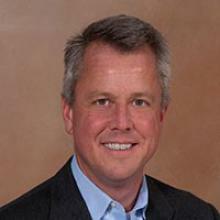 John also served as CEO, CFO and board member for several start-up and early-stage technology firms. As a Principal at Gemini Consulting and Arthur Andersen, he provided strategic and financial consulting services to senior executives in Fortune 1000 firms in the United States, Europe, Asia and South Africa. Jaime Tincher does not have the background you would expect of the deputy mayor of Saint Paul and former chief of staff for Governor Dayton. Jaime was born and raised in West Virginia, the granddaughter of coal miners. She earned her bachelor’s degree in communication and media studies from Denison University in Ohio before moving to Vermont to study conflict resolution at the School for International Training. 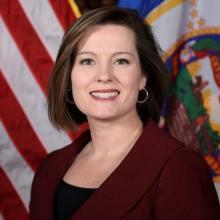 Having worked as a redistricting analyst and campaign manager, Jaime had the experience needed to be an astute chief of staff, juggling multiple complicated negotiations on behalf of the governor of Minnesota. In her new role as deputy mayor, Jaime has taken on a similar task and works to advance Mayor Carter’s agenda of equity and prosperity for all Saint Paul residents. Herb Tousley joined Exeter Group in 2003 as a financial analyst and since has assumed the responsibilities for many of the company’s real estate development activities, including entitlements, project design, and construction oversight. He also has a lead role in retail and office leasing and is part of the team providing real estate advisory services to third parties. Herb has an master's degree in business administration and finance from the University of Minnesota’s Carlson School of Management and a bachelor's degree in finance from the University of St. Thomas. He is a licensed real estate agent with the State of Minnesota. In his role at Securian Financial Group, Michael focuses on developing Securian’s digital strategy as well as educating multiple audiences on digital trends and business implications. He also serves as a steering committee member for innovation and technology initiatives, and recruits new leaders for digital strategy and media. Prior to this role, he worked as an interactive marketing director for Ameriprise Financial. Michael earned a bachelor’s degree in business administration from the University of Houston and his master's degree in business administration from the Carlson School of Management at the University of Minnesota. 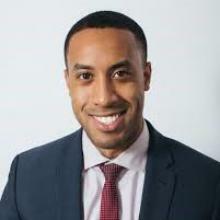 Since earning his bachelor’s degree in political science from Howard University, Jai Winston has spent his career working in business, politics and policy. He has worked on former President Obama’s reelection campaign and the 2012 Democratic National Convention Committee. Prior to assuming his current position as Saint Paul program director for Knight Foundation, Jai worked at Ariel Investments, a minority-owned money management firm. Jai has managed the Black Corporate Directors Conference, and currently serves on the board of the Illinois Humanities Council. Jai is also a member of the Emerging Leaders Board for the Mikva Challenge, the Looking Glass Theatre and buildOn junior boards, and the INVEST Chicago advisory board. Dr. Bruce Corrie has more than 30 years of experience as an economist living in Saint Paul. 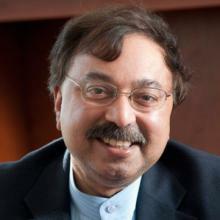 He is well-known for his extensive research and data driven policy proposals around the economic contributions of immigrants and minorities and the assets they bring to the economy in a wide range of areas, from workforce skills to entrepreneurship and global networks. His work on ethnic entrepreneurship has helped the development of policies and programs to tap this rapidly growing entrepreneurship base to bring jobs and economic revitalization across Minnesota. Dr. Corrie chaired the District Advisory Council of the United States Small Business Administration and is actively engaged with various ethnic and mainstream chambers of commerce, such as the Midway Chamber of Commerce, Hmong and Oromo chambers, Metro IBA, Minnesota Indian Business Alliance, and the Saint Paul Chamber of Commerce. As chair of the Governor’s Working Group on Minority Business Development in 2000, he helped produce the first comprehensive statewide report on policies to grow ethnic markets and entrepreneurship. He has a doctorate in economics from the University of Notre Dame. Mary Rick is an impact entrepreneur and community builder with a passion for innovation, equity, and sustainability. While based in the San Francisco Bay Area, Mary held senior roles with national organizations including the Business Alliance for Local Living Economies (BALLE), Global Exchange, and Social Venture Circle. Locally, Mary served as the Director of Sales for Peace Coffee, a Minneapolis-based roaster-retailer and the first Public Benefit Corporation in Minnesota. She co-founded the Impact Hub Minneapolis-St. Paul, a co-working space and business incubator for social entrepreneurs, and has consulted with numerous innovative technology start-ups. 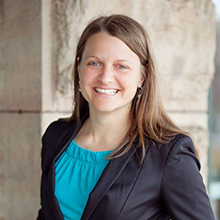 Mary studied international trade and development at the University of Minnesota and holds an MBA in sustainable business from Presidio Graduate School in Seattle.